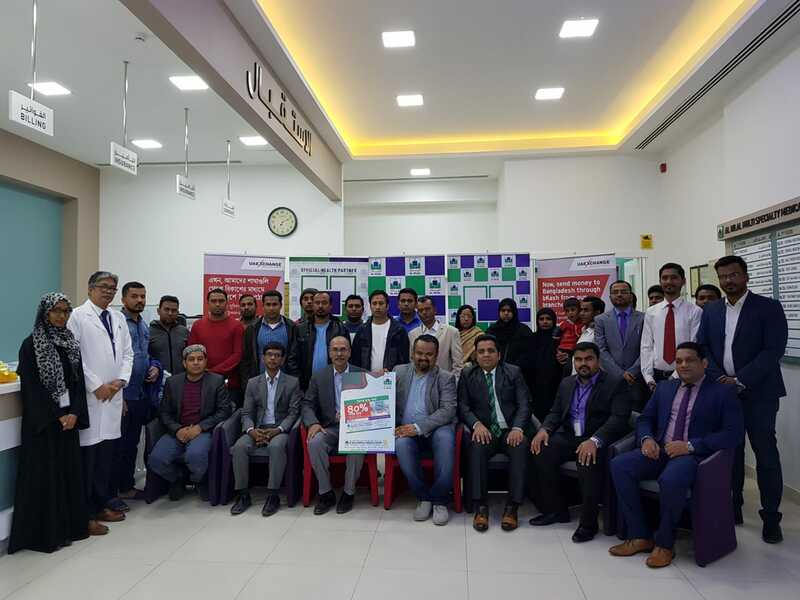 As Part of their initiative to reach put to different communities and provide quality and affordable healthcare , Al Hilal Manama in association with Embassy of Bangladesh and UAE Exchage Launched a Special Privilege card for Bangladesh community. The card was unveiled by His Excellency the Ambassador of Bangladesh Major General K M Mominur Rahman (Retd. ), Mr. Sheikh Mohammed Tauhidul Islam, Counselor (Labour) and Mr. Md Robiul Islam (Counselor). The event was followed by a free medical check up for the Bangladesh community members present on the occasion.